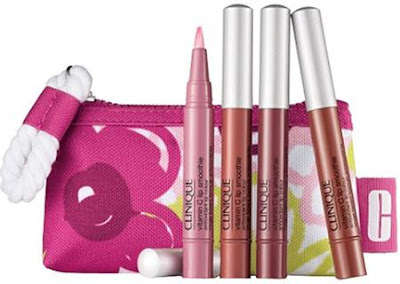 The New Clinique Vitamin C Smoothie comes in 4 different colors Mango-Thon, Pink Me Up, Goodness Grapecious, and Rhubarbie. This is meant to get rid of fine lines around your lips and should also improve the look and feel. Each flavor/lip balm comes with instructions on how to wear the smoothie the best, and also comes with a yummy smoothie recipe! You can purchase this at Nordstroms.com for $25.00 Also available at Macys.